Let’s take a walk down memory lane, shall we? Those fun filled carefree days you spent as a kid. Running around the park in your favourite dungarees, doodling on walls, collecting every sticker you could get your hands on. From sticking crazy stickers of your favourite cartoon characters on your notebooks, boxes and even fabric stickers your clothes...pretty sure you did them all! If you can remember those precious moments, then you’ll be happy to know that the next big trend in fashion will give you a chance to relive your childhood days. Yes, we’re talking about sticker patches. The patchwork trend did have a moment during the late 90s and the early 20th, but it was short-lived. But now, patches have found their way back and are bigger than ever. One of the hottest style statements you can make this season. They’re everywhere! From jackets to accessories to jeans and even bags. POPxo Recommends: Zara Patchwork Shirt (Rs 1,490) This trend will kick any hint of boring right out of the window. Spice up any old plain shirt by simply sticking these fabric stickers on them. 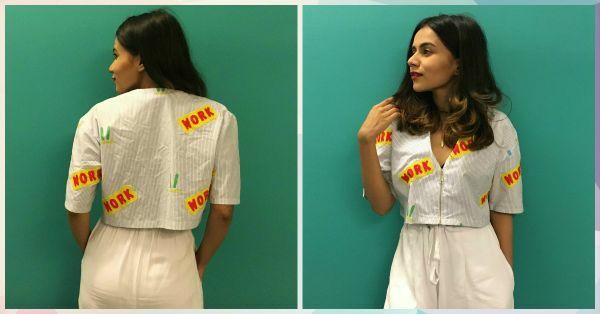 Major retail giants like Zara and Forever21 and even online shopping sites are full of these fun and quirky patchwork shirts and we can’t help but want to grab them all! 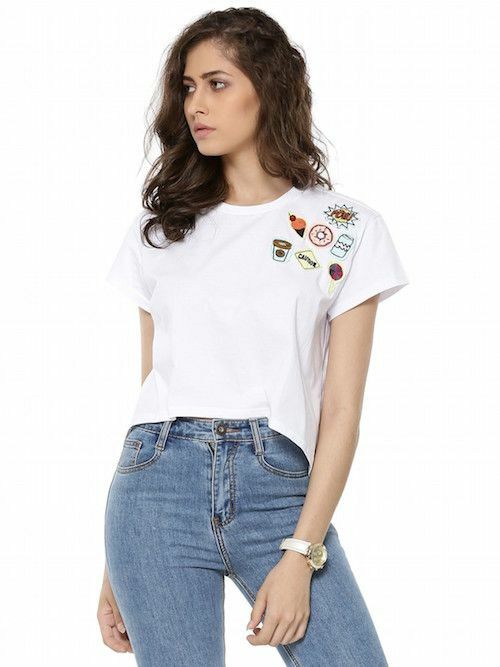 POPxo Recommends: Spring Break Patch Tee (Rs 750) But hey, there is an old school hack for all things old school. Look for fabric stickers and simply stick them on or stitch them on your pants or an old jacket to instantly give it new life. Tried and tested! HAVE A STORY IDEA FOR POPxo? If you want to hear about it, we can write about it! Just tell us your idea here! MUST-READ: Is This The CUTEST Fashion Trend? (Hint: Pom-Poms!) MUST-READ: Everything You Need To Know About The Hottest Trend – Ruffles!